What Is An Off-the-shelf Customizable eNewsletter? Our newsletters offer you the opportunity to have a monthly eNewsletter that you don’t have to spend time writing or producing. Our professional, published, business writers write interesting, educational and informative content each month aimed at businesspeople from all industries and sectors. Our Sales Professionals Monthly features articles that motivate members of your sales team, while The Leading Edge and Business Essentials are aimed at small business owners, managers, members of associations and entrepreneurs. For as little as little a $30 per month you could be sending a professional, fully branded eNewsletter or eMagazine to your customers, clients, members, or staff. There has never been a less expensive way of reaching so many people for so few dollars! If you require unique content, we can supply professionally written articles, and produce eNewsletters to meet your specific requirements. Please visit Custom Content for more information. 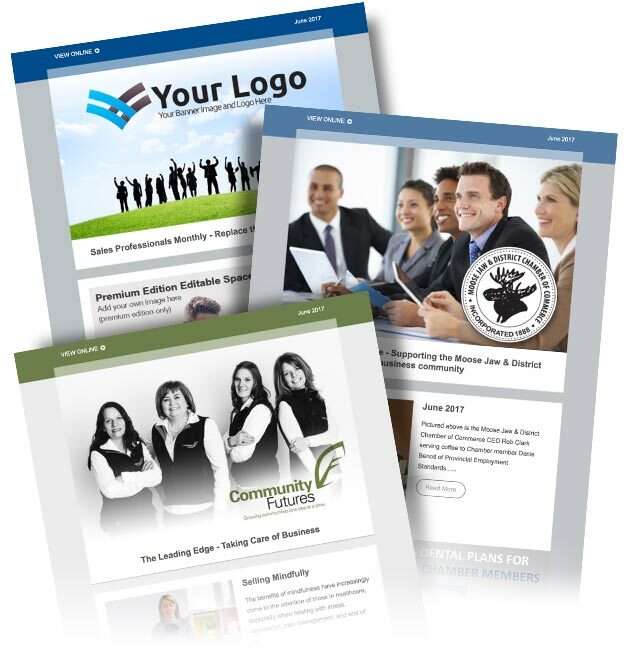 Send your fully branded eNewsletter to everyone in your network.